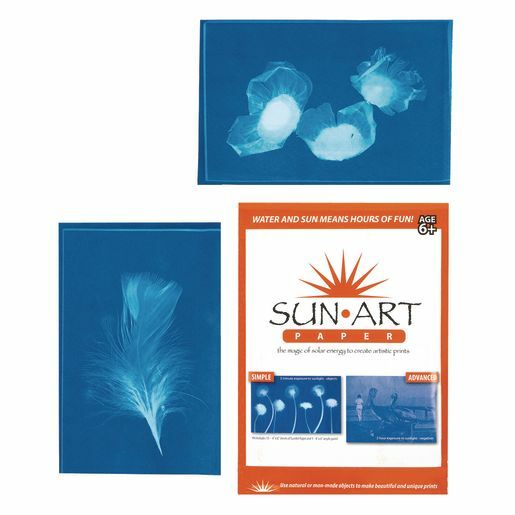 Sunprint® Kit - 4" x 6"
Place an object on the Sunprint® paper and leave it in the sun until the paper turns white. 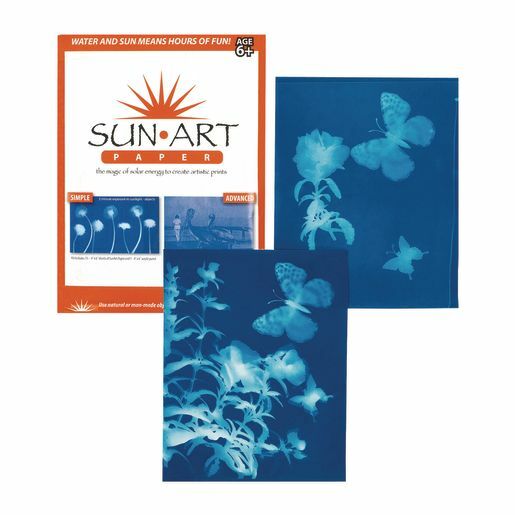 Quickly rinse the paper with water for about a minute and dry flat. 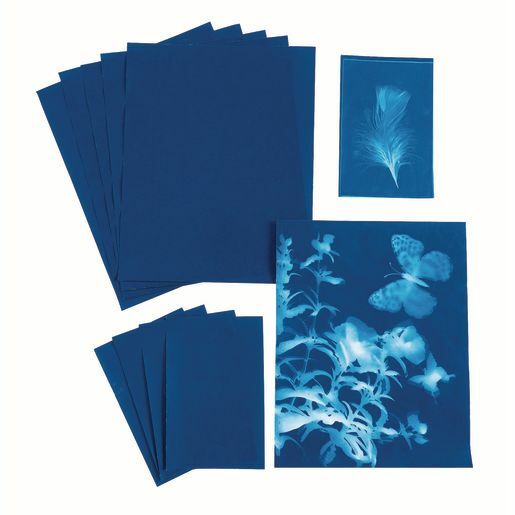 Your print will appear like magic!